I just bought a bunch of capes for my Fall party in a few weeks and I don't regret it. You can use these coffin capes for Halloween or just for wandering around in your goth garden in the middle of the night. They're made from a thin material and won't actually keep you warm, but they sure will look sinister and elegant! They're meant to look like the fabric that lines elegant coffins. 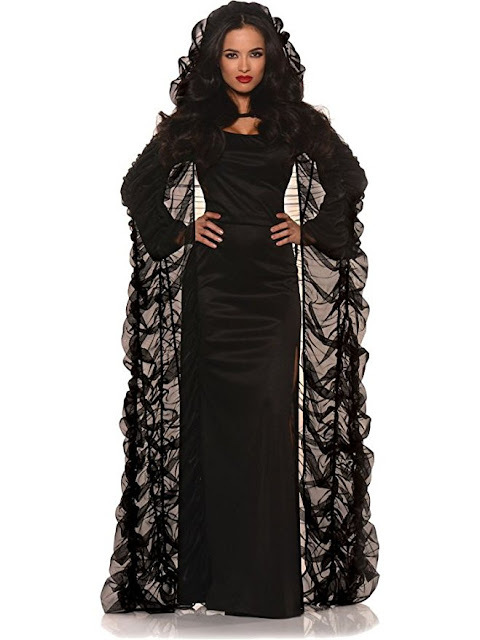 I think that this adult coffin cape black costume enhances this woman's powerful look. 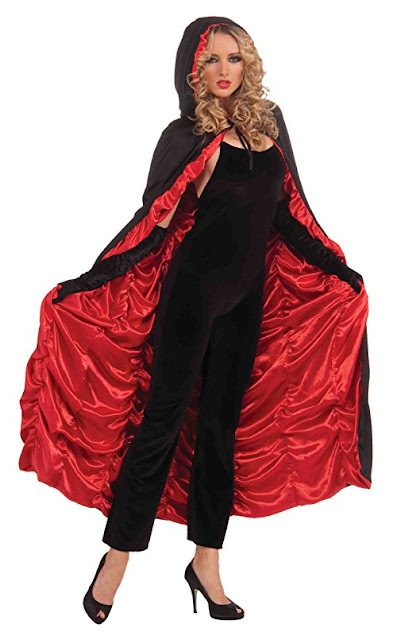 This coffin cape hoodie costume is lined in red. It can be used for many costumes such as vampires, witches, or even an evil Little Red Riding Hood. 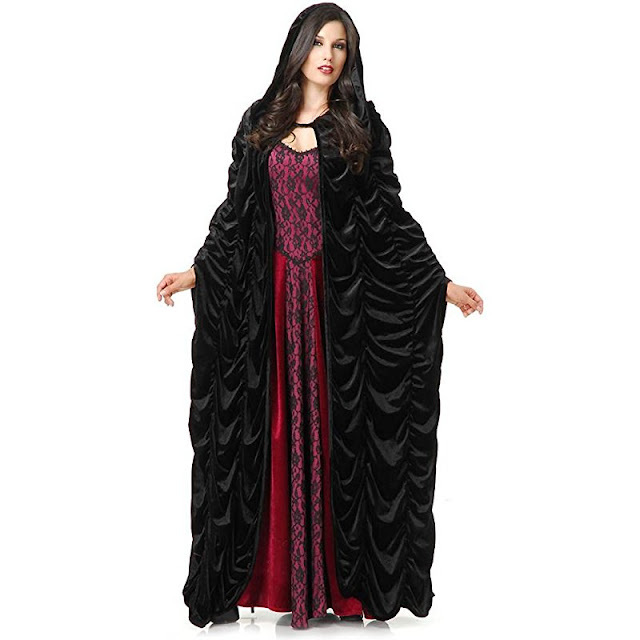 You would look so elegant and enigmatic wearing this black coffin cape. I can already see the moonlight shimmering on the velvet fabric. It looks like the woman is on fire! I love this red coffin cape because it looks so lacy. 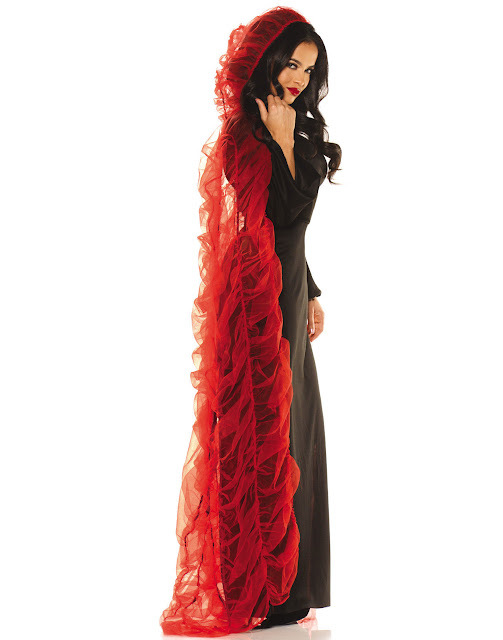 It's a perfect addition to a fallen angel costume or even an evil temptress look. 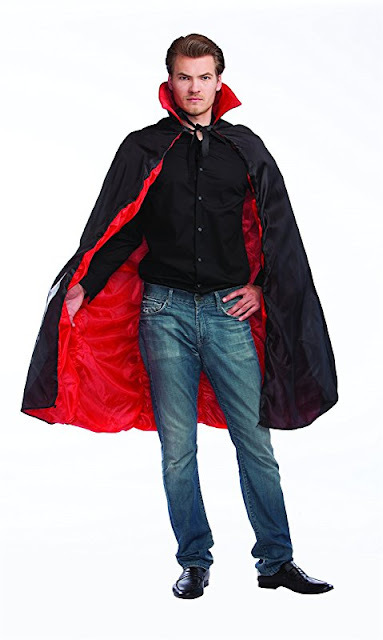 Don't worry, men can get in on the coffin cape accessory too! The pointed collar would make you look extra sinister! You can also find coffin capes on eBay. Don't you need a cape for your Halloween costume or just for fun? Comment below and let me know!